Play Ni no Kuni 2's Lair of the Lost Lord DLC this week, if you've actually finished the lengthy game. Ni no Kuni II: Revenant Kingdom is welcoming its first paid expansion and season pass item this week in the form of The Lair of the Lost Lord DLC. The Lair of the Lost Lord DLC is available this week on PlayStation 4 and PC via Steam for $9.99, though it's obviously free if you already own the Ni no Kuni II: Revenant Kingdom Season Pass. For anyone who's already purchased the pass, the DLC will automatically be added to your inventory on Thursday, December 13. There's a new trailer to go with the DLC, too, for your viewing pleasure. The Lair of the Lost Lord includes new backstories for characters Tani and Bracken as well as magical Nazacaan weapons and gameplay elements that are new to the game in general. First is a labyrinthine dungeon where you'll encounter the Lost Lord himself. It features randomly-generated levels that get harder as you progress further and into the lair. Evan and his friends will be up against some truly dastardly enemies by the time the dungeon is complete. It will be available t access during the game's fourth chapter, as well. Character fighting styles will have the ability to be swapped out as well, using the Method System. After new Methods are obtained, a new battle type can be selected from the main menu. You can master these Methods to eliminate difficult enemies. 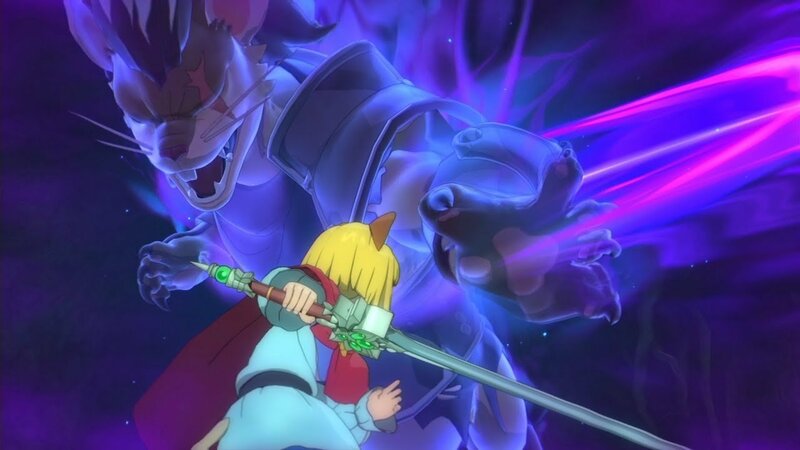 "Ni No Kuni II: Revenant Kingdom intensifies the action in its JRPG foundation, mirroring some of Level-5’s best work instead of leaning more heavily on the charm of Studio Ghibli. It’s resulted in a game I continue to enjoy a great deal and a desire for Level-5 to distance itself even further from the animation giant to get a peek at what the developer can do, again, when completely uninhibited in any way."